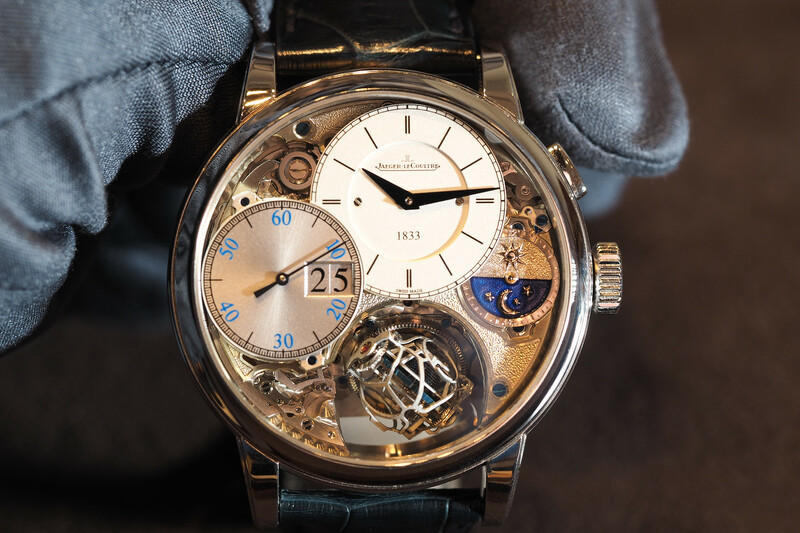 The Hybris Mechanica Gyrotourbillon 3 Jubilee was the high point of SIHH 2013 for Jaeger-LeCoultre in the same way that the Hybris Mechanica Gyrotoubillon Westminster Perpetuel was this year at SIHH 2019. While both are more than worthy of the “Hybris Mechanica” name – a moniker given only to Jaeger-LeCoultre’s highest complication timepieces – if I had to pick one I’d choose the former over the latter, without hesitation. Despite being six years old, the 75-piece limited series Hybris Mechanica Master Grande Tradition Gyrotourbillon 3 Jubilee (Ref. 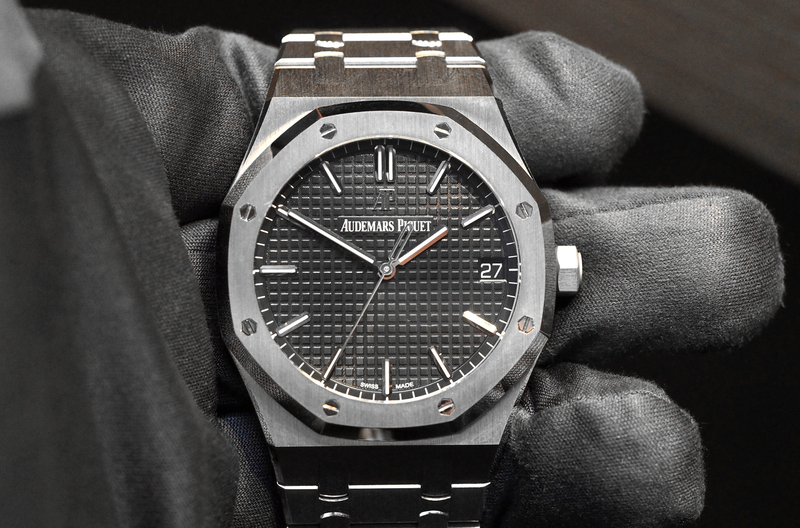 5036420) is still available as a new watch because at a price north of half a million dollars and with a long production time only about a dozen are made per year. The Gyrotuorbilon is presented in 43.5 mm by 15.5 mm polished platinum case, that’s appropriately luxurious for the horological goodness that lies inside, with exquisitely finished mechanical components visible both front and back, the watch is in my opinion, the best looking of all the Hybris Mechanica timepieces. Boasting a flying multi-axis tourbillon with a spherical hairspring manufactured at Richemont partner brand A. Lange & Sohne in Glashutte, the regulation system performs a ballet on your wrist, like a ballet dancer: gracefully and precisely. The silvered opaline dial at 12 o’clock, with blued Dauphine-shaped hands, displays the hours and minutes. Just the basics. But this is a Hybris, and so connected to the main display at 3 o’clock is a 24-hour display with a relief engraved half gold and half blue enamel indication of day/night. On the opposite side, at 9 o’clock is a really cool function: a silvered dial with a chrono subdial featuring a 60-minute instantaneous digital minute counter coupled with a traditional dial and a 60-second chronograph hand. Plus, it’s an advanced mono-pusher chronograph, which means it’s controlled by a single pushpiece. Manually wound JLC caliber 176 has 82 jewels, 592 total components, a beat rate of 3Hz, and a 48-hour power reserve driven by 2 barrels. Every component of the movement has been hand finished to a haut de gamme level, with over half a dozen techniques used such as chamfering, polishing, bluing, hammering, frosting, brushing, enameling, circular graining, and engraving. See the caseback HERE. While the price may preclude you from buying this watch, if you’re a fan of horology it’s still worth checking out sometime. 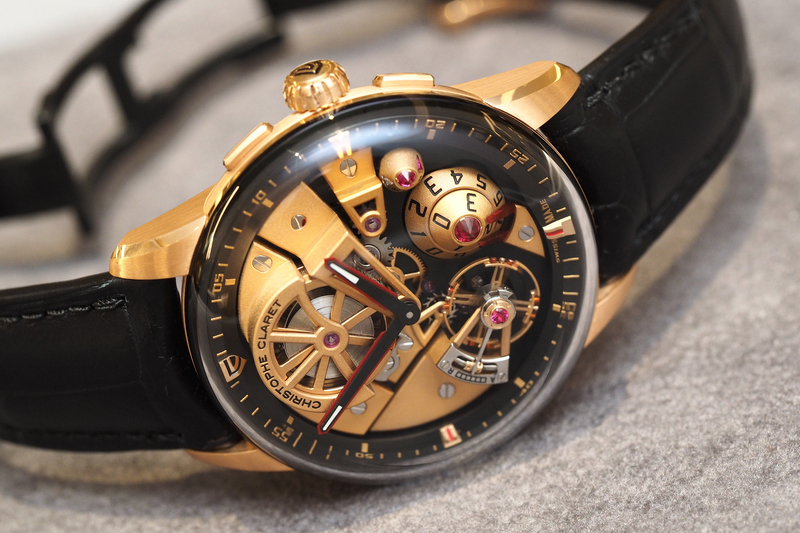 Not much beats the mesmerizing view of a Gyrotourbillon. 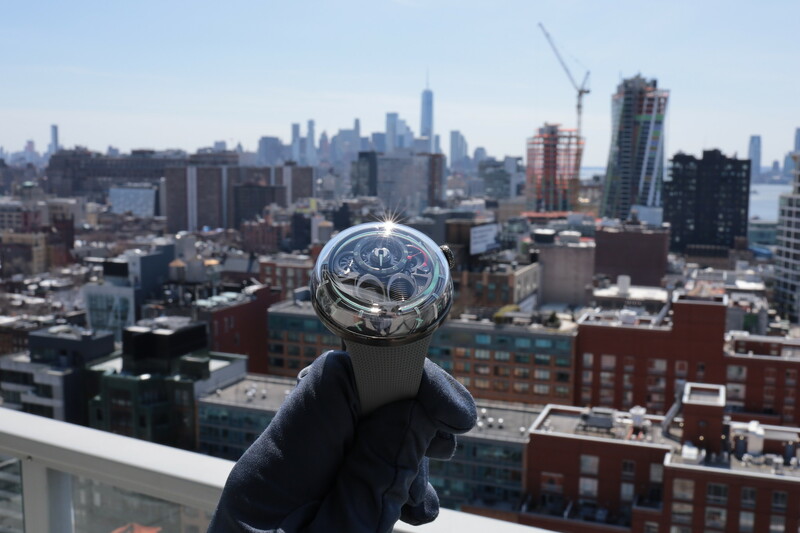 Our partner Watches of Switzerland has this in stock at their newly opened flagship at 30 Hudson Yards, if you’re in Manhattan you can stop in and check it out. Previous articleCollectingRolex Daytona Ref. 16528 engraved with "A Angelo da Ayrton 1978"